You know that Jack loves Anna Frozen heart. He decided to propose to her and is very worried about this. It will be a romantic date. During it, Jack will write in the clouds its proposal to create a family. Let's help Jack to prepare for this special holiday. First choose the clothes for him, and then think of how it will look in their camping. Take into account what will be the blanket, food, glasses and snacks. If Elsa say YES, you start to pick up a wedding dress for Anna. This would be a beautiful wedding! How to play: use the mouse and hints in the game to help Jake to choose a costume for a romantic date, and then choose a costume for the wedding ceremony. Played: 53676. Added: 19-12-2015, 01:54. 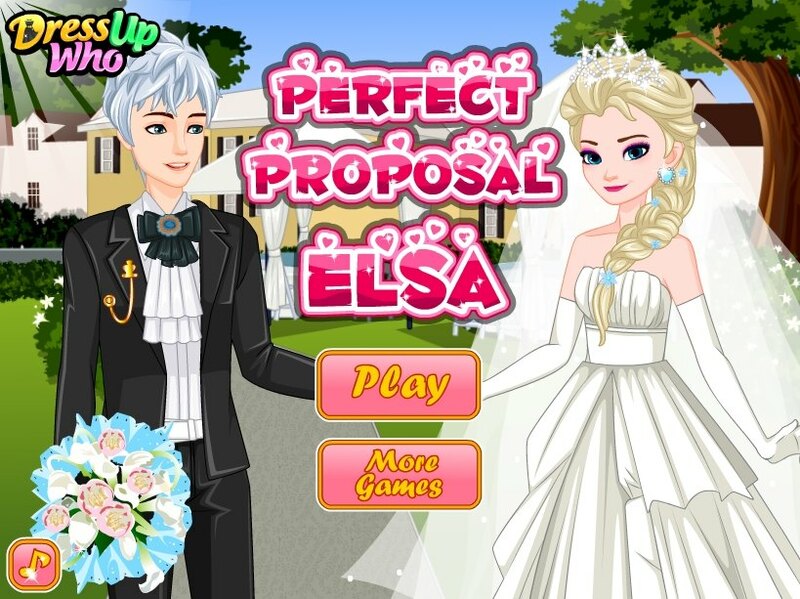 Elsas Frozen Heart Perfect Proposal game. Help Jack to choose a cute outfit.